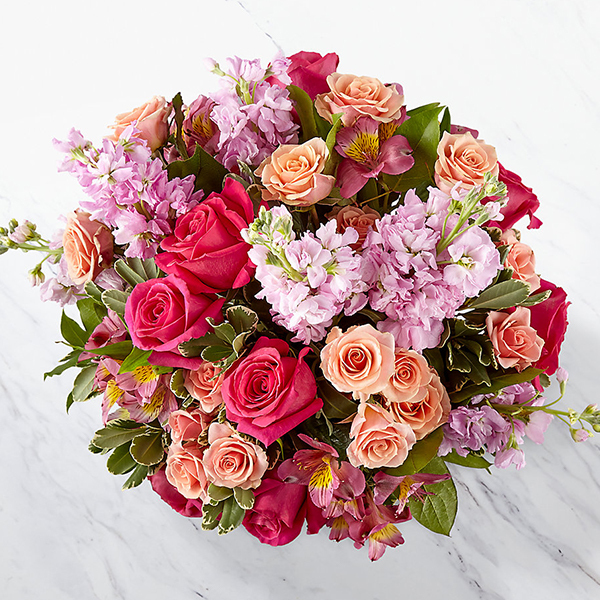 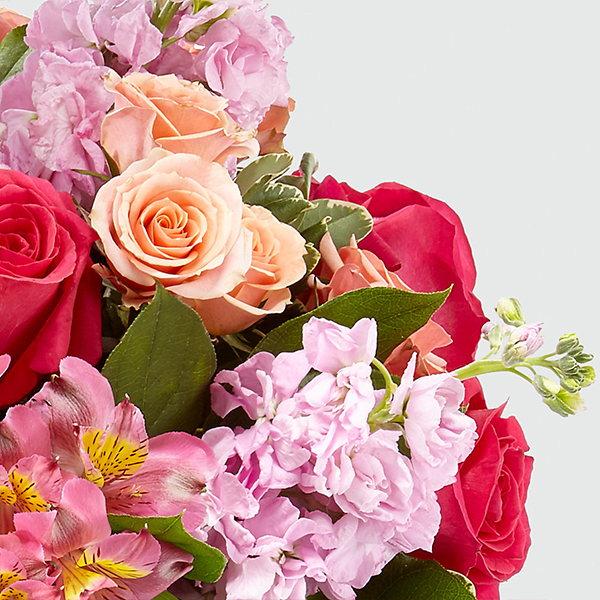 Express your love with an arrangement full of sweet blooms, delicate hues, and a message straight from the heart. 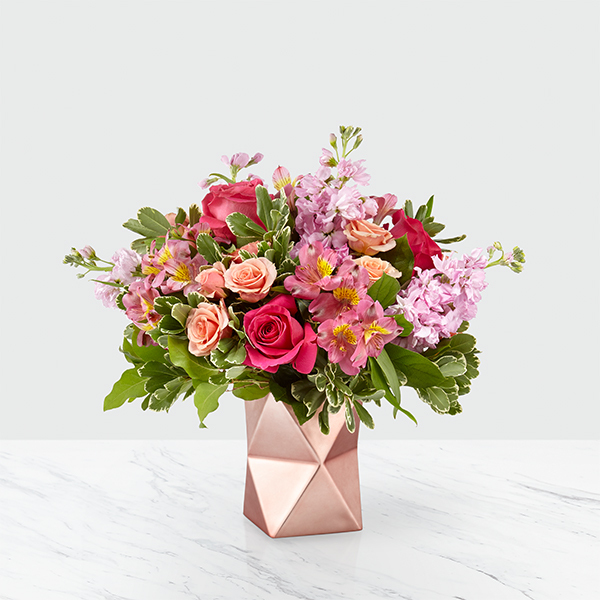 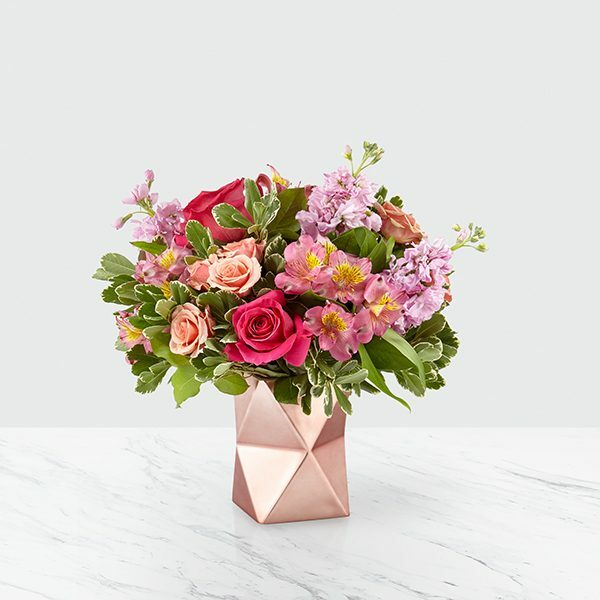 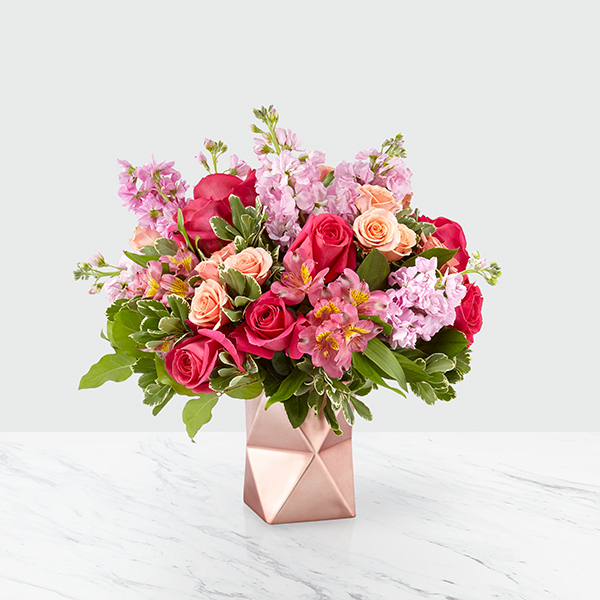 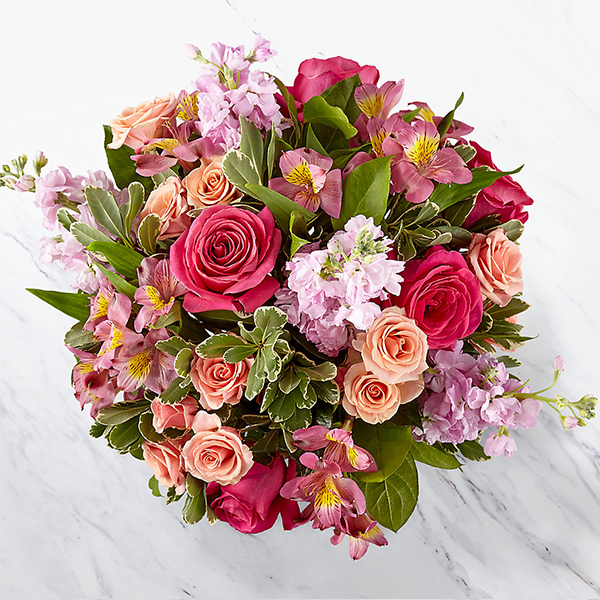 A stunning collection of hot pink roses, peach spray roses and pale pink stock come together in a pink, geometric ceramic vase and is accented with alstroemeria and salal. 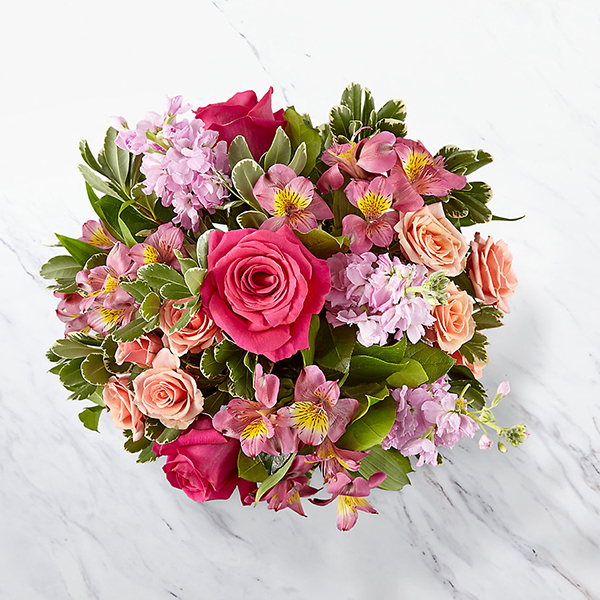 Our florists will combine these romantic florals to create a bouquet that will leave your sweetheart feeling special this Valentine’s Day.